Wow, the flying cape effect never ever fails with you. XD And Loki is so amazingly cool I feel like going into girly fangirl squeals right now. Hahaha! Capes are awesome. Thanks! Loki does his Capt. Jack Sparrow impression! That is the most elaborate figurehead I’ve ever seen!!!! ok, so I know I’m still catching up and maybe shouldn’t be commenting so much, but HOT DANG your art is gorgeous. I know you were probably not aiming for that, but I find the suspended fragments of the burial mound have something Moebius-like, in their thinness and in their moving/frozen in time way. Thank you so much! I wasn’t going for that, but I don’t mind being compared to Moebius. XD I’m glad you’re enjoying it! 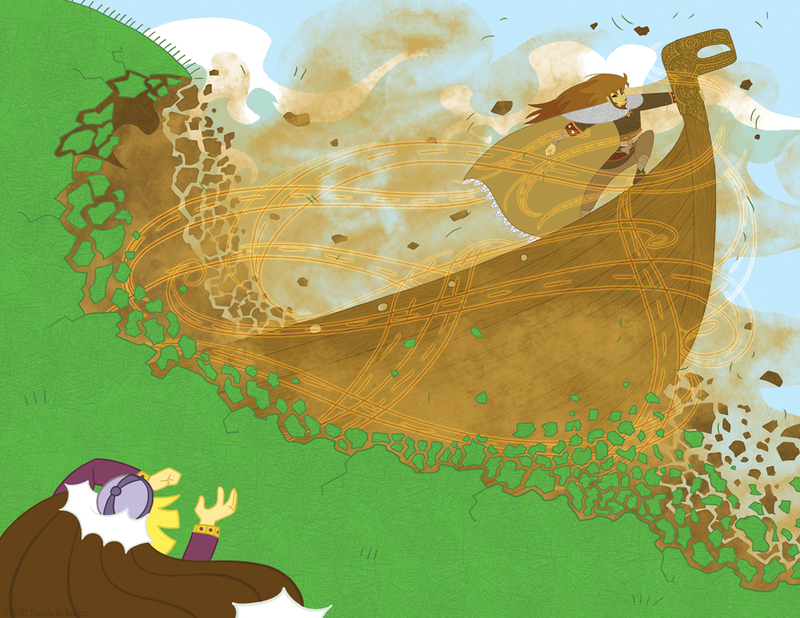 Thistil Mistil Kistil is a comic about vikings, Norse gods, and their adventures together (or against each other). Updates are on Thor’s Day.